Donald Trump is a man you would call larger than life. His personality has made its way from reality television into the political spectrum, and he’s not shy about saying exactly what he thinks. 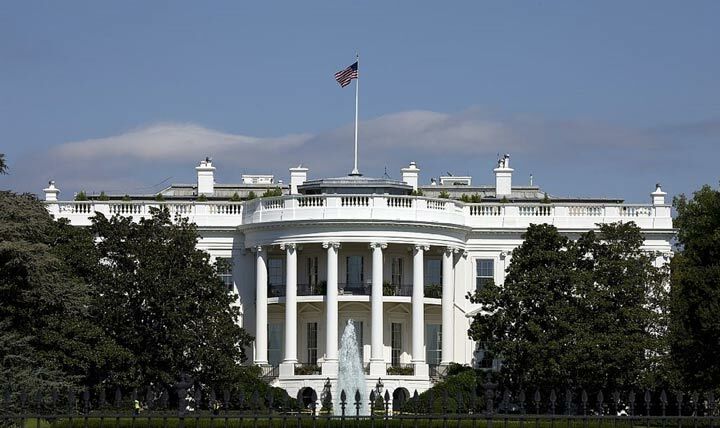 His decision to run for president has caused many to speculate on what life will be like in the United States if he makes it to the White House. Although some internet memes have already got him adding a few stories to the White House like his famous hotels, it’s time to take a serious look at what this country will be like if Donald Trump becomes the 45th president of this great nation. As many issues as there are, it’s difficult to say with certainty how Donald Trump will manage each one. However, Trump has been more than vocal on the issues of the economy, foreign policy and illegal immigration. Let’s start with illegal immigration, a hot button topic that leaves most people fuming with frustration especially after his comments about mexicans. Trump has promised to pick up where Obama left off with building the wall. Setting aside the obstacle of wrangling Congress into action for imagination’s sake, what Trump will do first is negotiate with Mexico to have them fund and build the wall. Deportation will see record highs, and security will be amped up along our borders. Provided Trump can put this country’s money where his mouth is, we could see both significant decline in crime rates and welfare recipients (almost half of which are illegal immigrants). I think we can all agree that our foreign policy could use a little work. With Isis killing innocents left and right, and no end in sight to the Islamic State’s quest for the total destruction of Israel, we need someone who will put their foot down and make us a global power again. Whether or not Trump is that man has yet to be seen. What we can be assured of is that he’s not going to play nice. He’s going to cut our ties with oil-rich countries that have us wrapped around their finger while simultaneously sending our military in to recapture the oil fields. Once again, for imagination’s sake, let’s say he succeeds. We will see an influx of profits from said oil fields, but whether or not we can hold on to them is a different story. This brings us to the economy. Other than the spike in profits from oil, Trump says he’s going to create jobs in this country by bringing manufacturing out of foreign countries and back to the United States. Countries who want to sell their wares here will see tariffs imposed similar to what we see on our exports, probably higher. Once the jobs are back in the US, infrastructure will be Trump’s main focus: roads and highways, airports, and construction projects of various sorts. The man who has built an empire worth billions will attempt to knock down the trillions of dollars in debt we face, most notably by job creation and an end to aiding foreign countries who hate us and use those dollars to fund terrorism. Of course, this is all in theory, but one thing is for certain: it’s going to be an interesting ride.